Ever visited places on your overseas travels and felt that you were ten or twenty years too late? I have, often, but not with China. I first went there in 1995 and it was bad enough; a decade or two earlier would have meant even dirtier toilets, even worse transportation, more spitting, more bureaucratic hassles, and with so many areas off-limits, fewer opportunities to explore. I’ve no regrets about missing Mao’s China, and I’m more than happy just reading about it. One by one, the most eminent leaders of the revolution went to their graves, mass opposition surfaced for the first time, the most destructive earthquake the modern world has ever seen struck Tangshan, and to cap it all, following Mao’s death in September, the Cultural Revolution leaders fell in a palace coup. These events have been covered in James Palmer’s excellent The Death of Mao: The Tangshan Earthquake and the Birth of the New China (2012). 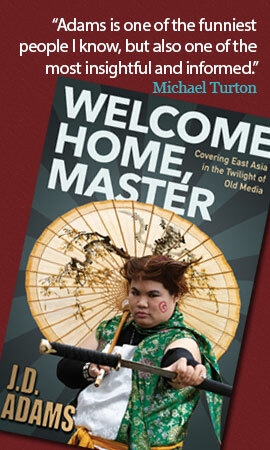 Palmer was born in 1978, so for a foreigner’s first-hand account, we need to look elsewhere. There’s Nineteen Seventy-Six by Ragnar Baldursson, a diplomat and scholar of Chinese philosophy from Iceland. It’s one of the Penguin “Specials,” however, which means it’s snack-sized, only 96 pages long. Another book that covers the period is Jan Wong’s Red China Blues: My Long March from Mao to Now, the story of how an idealistic Canadian socialist, arriving in 1972 to study at Peking University, was slapped sensible by reality. What makes Intruder in Mao’s Realm a welcome addition to the bookshelf is that it covers new territory; the author was based in Nanjing and Shandong whereas most books covering the 1970s – including all three of the aforementioned – have a Beijing focus. Additionally, it is very comprehensive; both in length (474 pages long) and content. Kirkby matches his deep professional knowledge of China with meticulous detail drawing on the notebooks and diaries he kept throughout his stay. Kirkby was a student leftie (with “Trotskyist leanings”) active in the anti-Vietnam War movement. He was invited to China to teach English, having previously been on a month-long “friendship” trip there, and known by the Chinese to be sympathetic to the cause. As well as curiosity about China’s socialism and his family connection (his grandparents were missionaries in Sichuan), he was eager to go primarily because of his academic interest in the Chinese experience of urbanization. In Nanjing the feisty young activist and his newlywed wife found a suffocating political straitjacket in which they were expected to keep their mouths shut. Even regular non-political conversations were difficult and their minders made sure that they were kept away from the masses. Travel was restricted. … to venture outside the bounds of the city was a big deal, demanding sheaves of paperwork from our many unseen minders. Before every rare escape from Nanjing we would be summoned to the Yellow House for an audience with the Revolutionary Committee. The Kirkbys’ mail was routinely opened and read. Having had enough of this, he wrote to the authorities to express disproval. “To the Leading Comrades, Jiangsu Postal Bureau. While these remarks caused us a little wry mirth, there was also a hint of a threat. Unbeknown to me my file in the Security Section of the Foreign Experts Bureau was already swelling. … half-a-dozen times our letters arrived with extras. Folded within our correspondence we would find a lurid mimeographed sheet defaming the Chinese Communist Party and purporting to be from this or that democratic cell. Why the attempt to defame? Their presence was resented by political hardliners opposed to China’s opening up. As time went on, with Mao on his deathbed, the faction fighting throughout China was reaching a crescendo and the murky plotting around us became more naked. The room telephone would ring and a voice would announce: ‘Your call to the Reuters News Agency in Beijing is now through – please speak.’ We knew enough to drop the receiver like a hot brick, for a single word was all that was needed to implicate us. Kirkby is honest about often not knowing what was going on around him. (Actually, he writes with commendable candor and modesty throughout the book). However, there were times, such as after the death of Premier Zhou Enlai, when residence gave valuable insights denied to the China Watchers based overseas. Yet now, with Zhou Enlai’s death, it was only those within the Bamboo Curtain who could truly sense the atmosphere of neurotic uncertainty. Nanjing felt suddenly tense and exciting, the familiar norms of public ritual no longer seeming to prevail. We were in a heady, anthropological mood, ready to witness the unfolding of unscripted events which no one outside China could share. At our teacher training classes, our colleagues were strained and monosyllabic. What was next for China, for them, the intelligentsia, the Stinking Ninth category of class enemy, and indeed for ‘foreign intellectuals’ too, if the normal rules were to be suspended and the Cultural Revolution extremists were again in the driving seat? 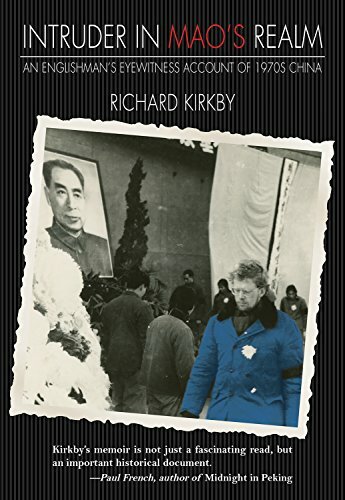 Public mourning for Zhou Enlai led to political protests and Kirkby was soon caught up in events. Unknowingly taking some photographs that were deemed “sensitive,” he was lucky to get off with a reprimand and the confiscation of his pictures. Still, some of the old guard were not amused, and the Nanjing police tipped off their counterparts in Shandong; Kirkby would be closely followed the whole time he was there. Although Kirkby enjoyed the freer atmosphere of the late seventies in the gradually opening China – travel was less restricted and it was possible to have more contact with Chinese people – the location was less than ideal. Shandong University was plonked down some miles outside the capital city of Jinan, in the loamy yellow fields and along the grimy lanes of an outlying county town. … Licheng, location of the University, was neither picturesque nor joyously and dirtily productive. It was merely filthy, heavily-polluted, and disarrayed. The civic pride of the commune era had evaporated and Licheng town had fallen into the desuetude common to thousands of North China settlements, which under the new dog-eat-dog profit economy were now places of crumbling facades, potholed roads, chaotic tractor and lorry traffic, piled up garbage, and squabbling peasants. Kirkby later learnt that Jim had betrayed his confidence, passing on negative political comments the Englishman had made, a betrayal which was to hasten his departure from China. The author shrugs this off as what Veneris needed to do to survive, but it’s telling that the only American that Kirkby has something nice to say about is this traitorous rat. 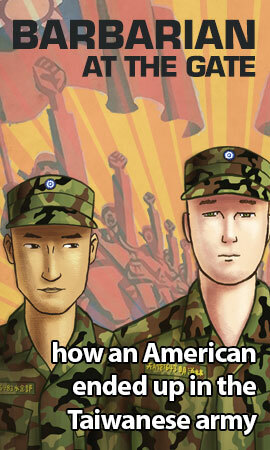 The author’s anti-Americanism is rather uncompromising. Indeed, in multiple passages he expresses his exasperation that the Chinese were not more anti-American. Not that I was ever a Moscow sympathiser, but I was heartily sick of the unceasing anti-Soviet diatribes which contrasted so obviously with the gentle treatment reserved for the United States. I’m virulently anti-communist, so reading the author’s leftist views often had my facial muscles twitching like a freshly landed fish. Leftists cheered on the enemy during the Cold War, and yet so few ever paid any price for this; quite the reverse, many of these anti-establishment types landing nice taxpayer funded jobs in academia. I don’t know the author’s views on Taiwan, but hard-core leftists – despite their disappointment with China’s embrace of capitalism – continue to side with the authoritarian PRC over democratic Taiwan, the latter dammed for its ties to the United States. Even the author’s area of academic research raised my hackles. He praises the PRC’s lack of urban squalor, but makes only one passing reference to the all-important hukou, the household registration system that bound people to particular locations. The cities didn’t have shanty towns because of the draconian internal migration laws, not to mention the state’s stranglehold on housing, employment, and, well, absolutely everything. Today, the country which is most similar to the China of the Mao years is North Korea. Imagine being sympathetic to their socialist experiment, visiting Pyongyang as a “foreign friend,” and then being invited to teach English there for a few years. It would certainly be an experience. How much of your criticisms would be directed at North Korea and how much at the villainous stationing of American troops in neighbouring South Korea? Would you find some area of academic interest to study such as Pyongyang’s praiseworthy lack of traffic congestion? Damn, my facial muscles are twitching again. I better go calm myself down and watch a Ronald Reagan YouTube video; his 1964 “A Time for Choosing” speech usually does the trick. Political differences aside, I found Intruder in Mao’s Realm a fascinating book and devoured it in two days. 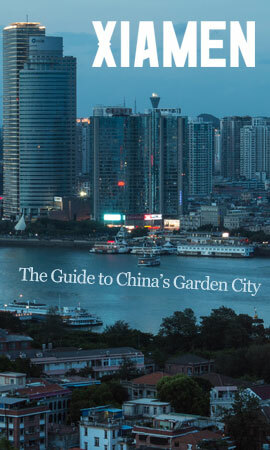 It’s required reading for anyone wondering what it was like to be in China during the 1970s. 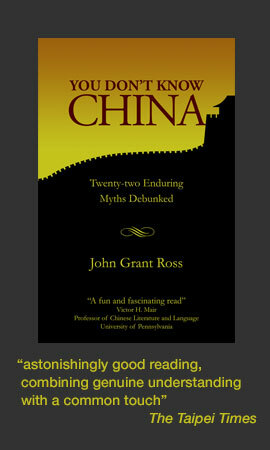 Intruder in Mao’s Realm: An Englishman’s eyewitness account of 1970s China is published by Earnshaw Books. It is also available from Amazon.